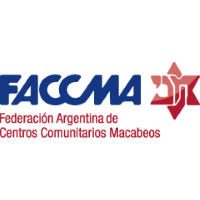 The Federacion Argentina de Centros Comunitarios Macabeos (FACCMA) developed this new training project for new community leaders ages 20-30 years old in order to address the overall dearth of young Jewish leadership in Argentina. Focused on working with members or potential members of Boards of affiliated institutions, the project’s staff sought out those with the abilities to take on leadership roles in their communities. The project aims to improve the participants’ Jewish knowledge and strengthen their Jewish identities and their commitment and connection to the State of Israel. Participants attend half day seminars once a week in Buenos Aires led by professors and lecturers and two four-day seminars one each in Cordoba and Entre Rio, allowing participants to meet leaders and Jewish community professionals throughout the country. An online platform allows participants and lecturers to remain connected between seminars and over the summer holiday, when the course is suspended. Training takes place in the form of experience-based immersion labs, tutorial sessions, readings and online learning. Once the training is completed, participants submit plans for a program they will run through the institutions with which they are associated.